Tara Bamberg is originally from the small island, Âland, between Finland and Sweden. She is Finnish but her mother tongue is Swedish and she has been living in Paris for a year and a half now trying to make a name for herself in several careers. Bamberg is pursuing a Bachelor's degree in International Management at the IAE Gustave Eiffel École de Management, which she aims to complete in 2019. 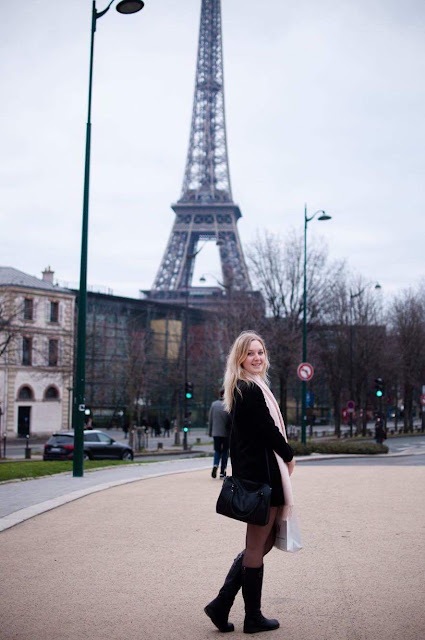 However, Bamberg is not an ordinary student; she balances school while maintaining three different jobs, one of which revolves around Parisian nightlife. Bamberg writes for her own fashion column, "Fashion and Trends with Tara," for the local newspaper at home in Finland, which was recently elected as Finland's best newspaper. 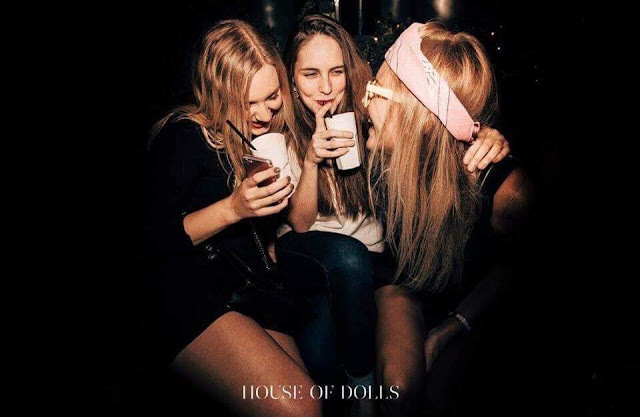 Her most recent job is as a hostess for an agency, but the most prestigious of her pastimes is her party-girl job as a promoter for the most exclusive clubs in Paris, frequented by the likes of A$AP Rocky, The Weeknd and Bella Hadid. What brought you from Finland to Paris? The language. I've studied French since I was 13 and Paris has always held a certain fascination for me. After graduating high school in Finland, I had a couple of months before university and decided to go to France to be an Au Pair. Once I got here, I couldn't stand the thought of returning to cold Finland, and started looking for universities here. I always wanted to study something international and in another language. Paris seemed like the perfect place for that. Obviously, studying isn't the only part of your life. How do you balance the contrast between your day-to-day life and your party-girl job? I go to school from Monday to Thursday. We have quite long days, but the thing with my job is that I work a lot with social media. I promote "my" club on Facebook, Instagram and Snapchat, and have built up quite a network since I first arrived here. Parisian nightlife is very interesting when it comes to its crowd because you never know who you'll meet and what kind of connections you'll make. 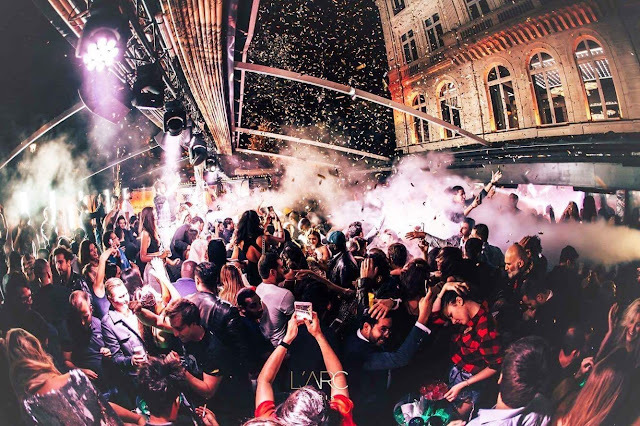 What is it like working in exclusive clubs in Paris and partying with celebrities and models? It's funny because to me, L'Arc (Paris' world-famous club) is like my second home. It's my favorite club in Paris and I was lucky to get a job there. Of course, the celebrity part is very glamorous but at the end of the day, they are just normal people like you and I, trying to have a good night. A very good aspect about the celebrities at L'Arc though is that they are a great marketing strategy. Of course people will want to come when I put on Facebook that I spent the weekend partying with Leonardo DiCaprio and Rihanna! There are many good aspects to a job like this. Since I am naturally very outgoing and chatty, I don't have to force new connections. I'm also very into social media, which is perfect to market the club. I've actually made a few of my closest friends through this job, and met many interesting people. I like that I'm able to bring a big group of girls and they get everything for free. I love when I can give them a good night out with their friends. Inevitably, a job like this comes with a few bad parts as well. L'Arc is one of the most selective clubs in Paris which means I sometimes have girls that get turned down at the door. The nightclub scene in Paris is superficial beyond words, and I don't think I have ever been as aware of my looks as I've been since I started this job. Your other job is writing for a fashion column, so what is your number one fashion tip and where do you seek inspiration? I always try to tell people to dress how they feel, and in clothes that suit them. Follow trends if you want, but you do not have to be a fashion slave to have good style. I buy most of my clothes from H&M, Zara, Mango and Pull&Bear, and I'm comfortable in that. It's about how you wear something. Another big cliché is that everything looks better with self-confidence and a smile. I get my inspiration from my environment in Paris. Never have I felt so inspired as I have being here. I have always been something of a dreamer, shooting for the stars. Traveling the world is my passion. A dream would be to work as a diplomat. Others include working in hotel management, fashion or events. I would also like to own my own nightclub. I love journalism as well, and language is my biggest passion other than traveling. I feel like I could live all my life in Paris. I have an eternal love story with this city, and I've never felt more at home. The people you meet, the possibilities, the beautiful city itself.